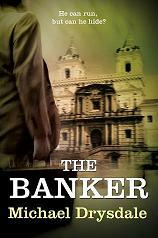 The Banker was published today. It’s available as paperback from on-line stores, including Amazon, at 7.99 pounds in the UK. It’s also available as an ebook from Amazon Kindle store and the Apple iBookstore. Its priced in UK at 1.99 pounds, in the US at $2.99 and 2.99 euros in euroland.